Wait, what the hell is “apizza”? 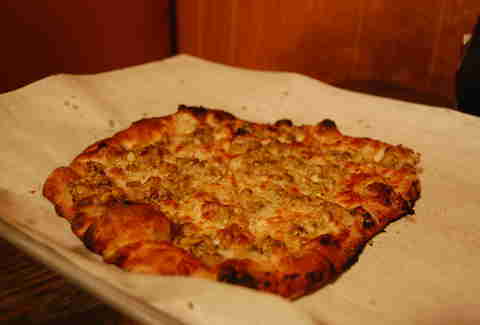 You might’ve noticed that New Haven pizza’s got its own name -- apizza. It’s pronounced “ah-beets”, and it’s derived from the Italian dialect of the Neapolitan immigrants who first settled there. Since the people making the pizzas were from the area around Naples, the pizza tends to skew toward the stylings of the original Italian pizzaiolos. 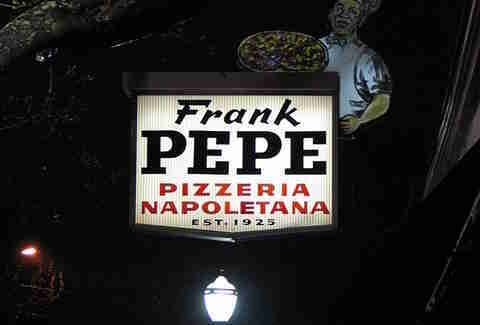 It all started back in 1925, when Frank Pepe, originally of Maiori, Italy, founded his signature pizzeria, Frank Pepe Pizzeria Napoletana, on Wooster Street in New Haven. This establishment came after years of hardship for the young man, who previously had taken jobs in factories and macaroni manufacturing (no joke), before deciding to start a delivery business selling “tomato pies”, which are a type of pizza made with spongy dough, tomato sauce, and a light sprinkling of Romano cheese. 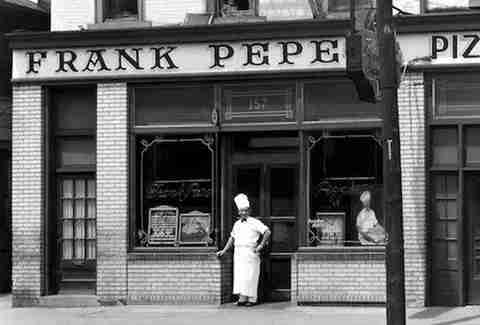 Pepe soon abandoned the delivery business and decided to start his own joint in 1925, eventually taking over his former bakery employer’s building in 1937 and opening what is known today as the precursor of all New Haven-style pizzerias. From there, he sold tomato pies and other types of pizza that eventually incorporated other cheeses, like mozzarella, presumably attracting droves of young mutant ninja turtles. 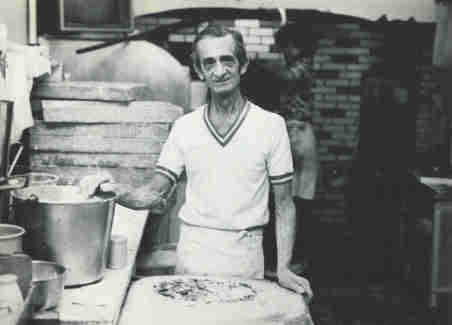 Pepe’s family flourished in the new business, and his nephew, Salvatore Consiglio -- having learned the craft of pizza-making from his relatives -- soon decided to branch off from Pepe’s to open his own pizzeria: Sally’s Apizza, which makes Neapolitan-style pizzas just like Pepe’s. It was the shot heard 'round the world and launched what is assuredly one of the biggest rivalries in the food world today. US presidents have even been divided on which joint makes the better pie. The original. The big dog. 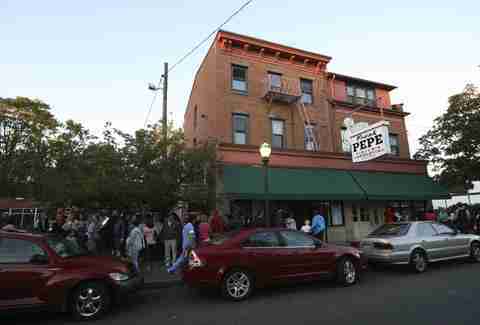 All other New Haven pizzerias are in the shadow of Pepe’s, and they know it. 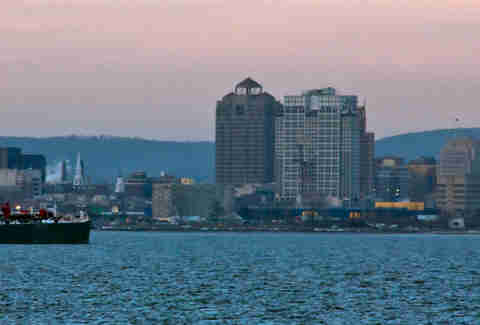 In addition to the original coal-fired location on Wooster Street, it’s expanded into several other Connecticut towns, Yonkers, NY, and area casino Mohegan Sun. Lines at the first location are often discouragingly long and cutthroat. 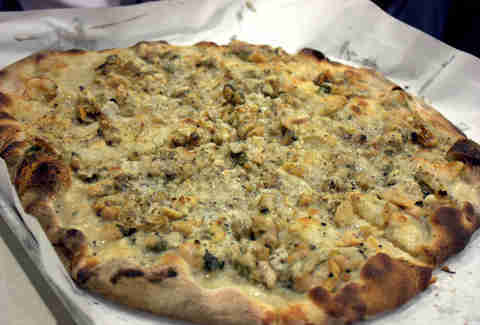 Their white clam pie is legendary (shucked fresh in-house daily), and pairs well with their thick-cut bacon. 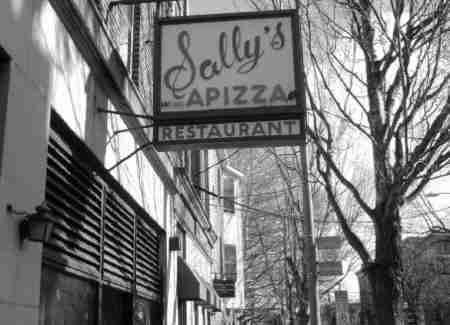 Founded by Sal Consiglio back in 1938, Sally’s took many of Pepe’s original fans when it splintered off from the original family and moved down the street. To this day, families in and around New Haven are firmly divided between the two camps (for the most part), and allegiances are taken as seriously as in Game of Thrones (minus, you know, the murder). 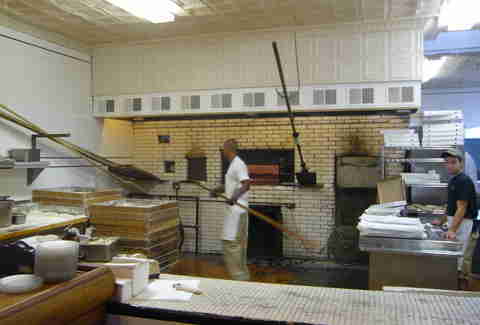 Sally’s maintains only its single, original location, and has a coal-fired oven just like the original one at Pepe’s. 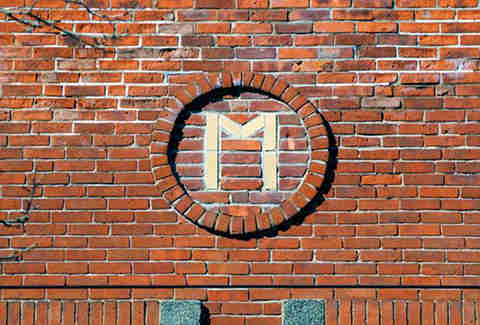 Slightly less well-known than the other two giants (meaning shorter lines), Modern is more of a local joint that specializes in wood-fired pizzas -- as opposed to the coal-fired ones of Sally’s and Pepe’s -- with a smattering of fresh, artisanal toppings. Their Italian bomb pie (bacon, sausage, pepperoni, mushroom, onion, garlic, peppers) is a tour de force. Do pizza-flavored snacks actually taste like pizza? We ate a Domino's pizza topped with donuts, ice cream, and more. It was incredible. Founded in 1996, Bar is the baby of the New Haven pizzaiolos, and, as such, attracts a hipper crowd clamoring for its more innovative pies. 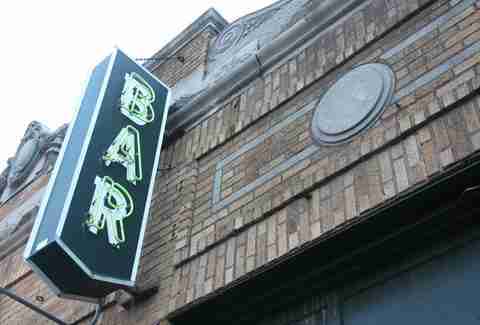 It turns into a nightclub after normal dinner hours and brews its own beer, too, thus adding to its youthful mystique. While its oven is gas-fired, it still churns out the kind of thin-crust, high-quality charred pies that its older neighbors originated. 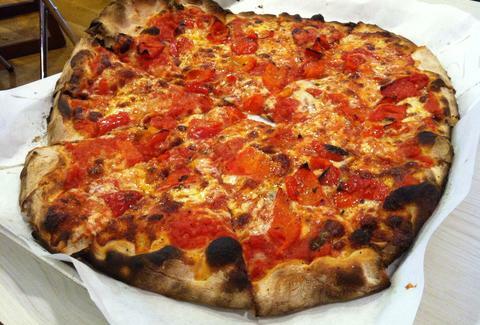 In terms of what makes New Haven pizza so goddamned delicious, and what makes it a distinct variety of pie, we can look to three factors: 1) the quality of New Haven’s water supply, 2) the dough’s long fermentation time, and 3) the coal-fired ovens of its progenitors. According to pizza expert Tony Gemignani (11-time World Pizza Champion), New Haven’s water quality is “moderately hard”, the most ideal type of water for making dough: “Water is the second-largest ingredient that goes into our dough recipes. Moderately hard water is the best. 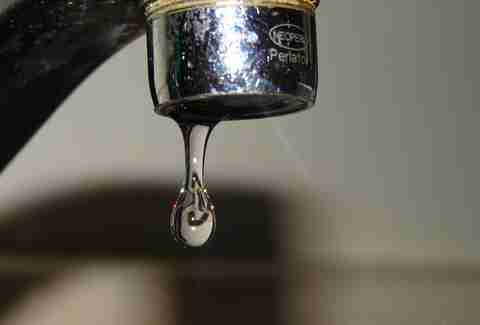 We tend to hate chlorinated or hard water, or water that has heavy limescale in it. The reason why New York, Chicago, New Haven, and San Francisco have great pizza is because of the water.” This type of water (slightly mineral-laden) makes the dough adhere more completely to itself, creating a denser, crispier crust. Most New Haven pizzerias let their dough settle much longer in refrigeration before bringing it to room temperature, rolling it out, and throwing toppings on. 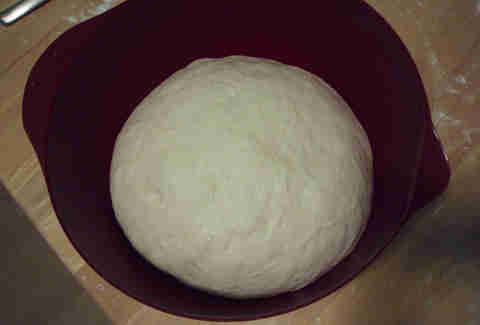 This cold resting period slows the yeast and makes it less sour; it also makes for a more elastic dough. While not every pizza joint in New Haven is coal-fired (the EPA would be all up in their grills ovens), a couple establishments, such as Pepe’s and Sally’s, got grandfathered in. Their ovens are huge, coal-powered powerhouses that give the crusts of their pizzas a distinctive blackened char that inevitably ends up all over your face and hands. An ideal New Haven pizza requires a lot of napkins. 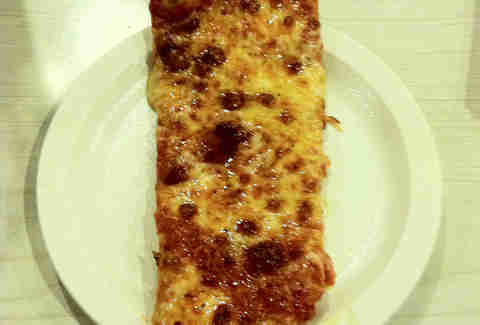 There are a few things you’ve gotta know before going out to try some New Haven pizza, and they’ll make your experience that much easier when you finally decide to open your eyes to what pizza should be. 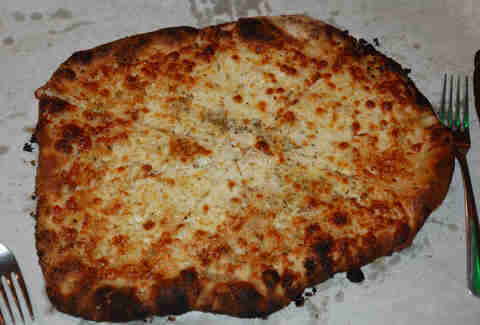 First, if you order a “plain pie” at Pepe’s or Sally’s, you will inevitably be greeted by a cheeseless pizza. 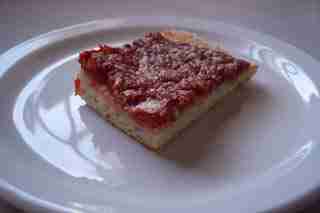 That’s because, owing to the long-standing tradition of making tomato pies started by Frank himself back in the 1920s, the “plain” signifies a pie without mozzarella. It’s still delicious, mind you, but probably not what you’re used to. Second, cheese is referred to in-house as “mootz” or “sca-mootz”. The origin of “mootz” should be obvious if you’ve ever watched a film by Martin Scorsese -- it’s an Italian pronunciation of “mozzarella”. As for “sca-mootz”, that’s derived from “scamorza”, a type of smoked mozzarella cheese that was originally used on the pies before its paler cousin took center stage. Third, the slices are going to be irregularly shaped, so it’s going to be a lot more difficult to keep track of who in your party has had the most pizza. Be wary of John. Also, you can’t order by the slice, so come hungry. Shouldn’t be a problem for John. Finally, lines are most likely going to be long. They say “hunger is the best spice” -- not that these pies need any help being the most delicious things you’ve eaten in a long time. Get a bottle of Foxon Park Birch Beer and wait it out. The competition between Sally’s and Pepe’s is so fierce that it’s infiltrated the highest levels of the American government. Legend has it that Ronald Reagan was a Pepe’s man, while Bill Clinton prefers Sally’s. Families live and die by their pizza allegiances. For reference, see this conversation between a Pepe’s acolyte and her mother: Pepe’s acolyte: Have we ever gone to Sally's for pizza? Mother: Never. Pepe’s all the way. But don't let that die-hard attitude sway you -- the competition is friendly and, for an outsider (read: pizza pilgrim), completely guilt-free. So where will you stand on this great debate? Pepe’s? Sally’s? Modern? Bar? Or maybe any of the slew of other upstarts looking to get in on the apizza action (Est Est Est, Brick Oven, Wall Street Pizza, A-1)? You should probably go to New Haven to find out. Adam Lapetina is a food/drink staff writer at Thrillist, and hopes his New Haven friends forgive him for letting their secret out. Read his musings on Twitter at @adamlapetina.